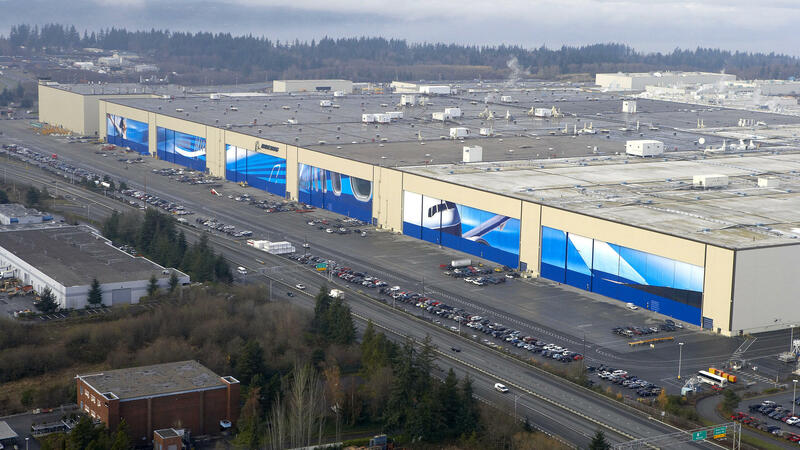 Most of Boeing's job cuts this year will come from the commercial jetliner workforce at Boeing facilities in western Washington, including at the company's wide body assembly factory in Everett. Engineer Dave Baine of Federal Way, Wash., accepted a voluntary buyout offer from the Boeing Company. A 32-year career at Boeing comes to a close in April for engineer Dave Baine of suburban Seattle. Baine was already prepared to retire when Boeing sealed the deal by making him a buyout offer last week. "It's better than a gold watch," he says. The deal is six months' pay in a lump sum and extended health insurance. "It'll help the younger folks that want to stick around and help some of the older folks exit quickly and quietly," he says. Boeing, the country's single largest exporter and one of the corporate sponsors of Friday's inauguration, enters the Donald Trump era with plans for buyouts and layoffs. This comes on top of nearly 11,000 job cuts across the company last year, according to a union tally. The company's PR department declined to say whether there's a specific target number for job cuts this year. Most of the trims are coming from the commercial jetliner workforce in western Washington state. Boeing has a lot of planes on order, but new jet sales are slowing. Plus, Canada, Brazil and China are getting in the game, making for increased competition and pricing pressure. "We're not seeing any evidence of a serious downturn, but there's just a lot more risk of a downturn materializing," says Richard Aboulafia, an aviation analyst at the Teal Group. Aboulafia says Boeing is a prime example of the kind of major manufacturing company that will be in the spotlight under President Trump. He says the incoming administration creates additional risks as well as opportunities. "Obviously anything that caused any kind of trade ruckus, particularly with China, that would be very bad news," Aboulafia says. On the other side of the ledger, the prospect of higher military spending could help major defense contractors like Boeing. New fighter jets and a multibillion dollar contract to replace the aging Air Force One jumbo jets spurred a second face-to-face meeting between Trump and Boeing CEO Dennis Muilenburg, who said he left Trump Tower Tuesday feeling "very encouraged." "We're all on the same page here. Our objective is to provide the best capability for our country most affordably. We want to generate jobs in the U.S.," Muilenburg said. Trump did not speak with reporters after Tuesday's meeting. But the president-elect was pretty candid about his strategy of pressing for cost concessions. "It's a dance," is how Trump put it after a Twitter jab and an initial meeting with the Boeing chief right before Christmas. Donald Trump has gone after a couple of different companies on Twitter. Boeing is one of them. It also happens to be one of the corporate sponsors for his inauguration. As Tom Banse of the Northwest News Network reports, the nation's single largest exporter enters the Trump era with plans for buyouts and layoffs. 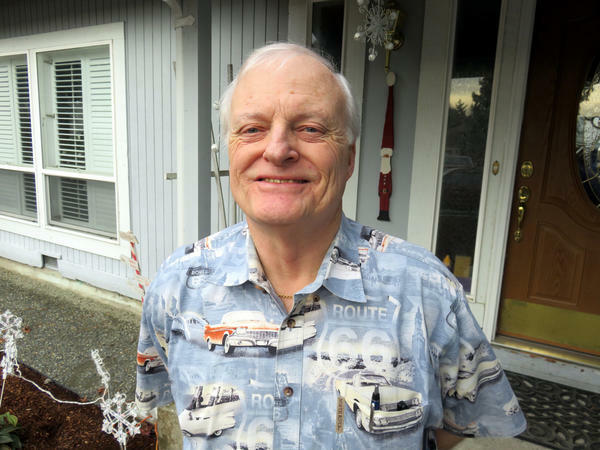 TOM BANSE, BYLINE: A 32-year career at the Boeing company comes to a close in April for engineer Dave Baine of suburban Seattle. DAVE BAINE: Yeah, it's been a long road. It's been a good career in many ways. But like everything else, you know, yeah. There's been good things. There's been bad things. BANSE: Baine was already prepared to retire when Boeing sealed the deal by making him a buyout offer last week. BAINE: It's better than a gold watch, by the way. (Laughter). BANSE: As in six months' pay in a lump sum and extended health insurance. BAINE: It will help the younger folks that want to stick around and allow some of the older folks to exit quickly and quietly. BANSE: The buyout offer Baine received is part of a new wave of Boeing downsizing. This comes on top of nearly 11,000 job cuts across the company last year, according to a union tally. The company's PR department declined to say whether there's a specific target number for job cuts this year. Most of the trims are coming from the commercial jetliner workforce in western Washington state. Boeing has a lot of planes on order, but new jet sales are slowing. Plus, Canada, Brazil and China are getting in the game, making for increased competition and pricing pressure. Richard Aboulafia is an aviation analyst at the Teal Group. RICHARD ABOULAFIA: We're not seeing any evidence of a serious downturn, but there's just a lot more risk of a downturn materializing. BANSE: Aboulafia says Boeing is a prime example of the kind of major manufacturing company that will be in the spotlight under President Trump. He says the incoming administration creates additional risks as well as opportunities. ABOULAFIA: Obviously, anything that caused any kind of trade ruckus, particularly with China - that would be very bad news. BANSE: On the other side of the ledger, the prospect of higher military spending could help major defense contractors like Boeing. New fighter jets and a multibillion-dollar contract to replace the aging Air Force One jumbo jets spurred a second face-to-face meeting between President-elect Trump and Boeing's CEO. Dennis Muilenburg left Trump Tower Tuesday saying he felt very encouraged. DENNIS MUILENBURG: We're all on the same page here. Our objective is to provide the best capability for the country most affordably. We want to generate jobs in the U.S.
BANSE: Trump did not speak with reporters after this meeting with Boeing, but the president-elect was pretty candid about his strategy for pressing for cost concessions. It's a dance, is how Trump put it after a Twitter jab and an initial meeting with the Boeing chief right before Christmas. For NPR News, I'm Tom Banse in Seattle. Transcript provided by NPR, Copyright NPR.